Ladies FREE at OC Salsa! 9:30pm-1am Salsa & Bachata Dancing! Men $15 a class includes party. $10 for Party Only. 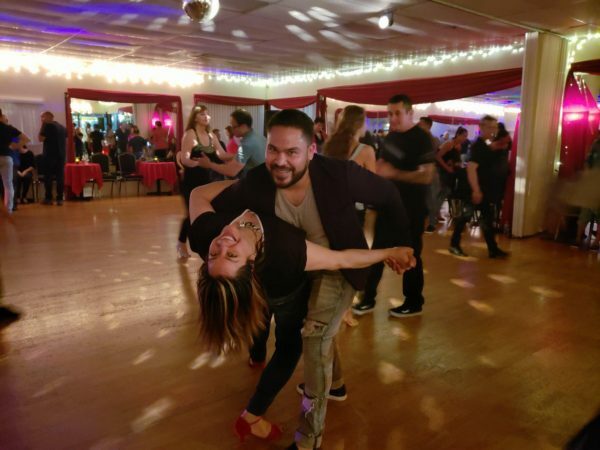 FREE SALSA CLASS @ 8:30PM (beginner and intermediate) and a FREE Salsa and Bachata party right after the class from 9:30pm- 1:30am (for ladies, remember free before 10pm mentioning “ladies Night”). Plenty of free parking, and space to dance (real wood floor). Brand new sound system too. Tacos and Mexican food outside with Los Tercos Tacos ! @2980 McClintock way # a and b, Costa Mesa. See you there!